Master Israel Velez III is the President and founder of American Modern Jujitsu & The Diversified League of Martial Artists . Israel Velez offers Jujitsu and karate in New Jersey, however, if you do not live in New Jersey he can provide a distance study program through his award-winning AMJ home study courses. Check out the American Modern Jujitsu and DLMA websites below ! Isarel Velez has earned black belts in several martial arts styles, and has taken the most practical techniques, concepts, and excersises from all the arts he has studied and put them in the American Modern Jujitsu system. He also teaches freestyle Karate for the martial artists that does not want to grapple . Please enjoy this website and learn more about Master Velez and the federations he administrates. MASTER ISRAEL VELEZ SETS IBF WORLD RECORD. MASTER VELEZ BRAKES 10 BOARDS FOR AUTISM AWARENESS. WATCH THE BREAK ON YOUTUBE. (THE BIG BREAK) WAS HAILED LEGENDARY & UNTHINKABLE. TO DONATE TO AUTISM SPEAKS CONTACT MASTER ISRAEL VELEZ. Israelvelez.com is sad to announce Master Israel Velez III father has passed away. Master Israel Velez Jr. known to many around the world as being Master Israel Velez III first martial arts instructor. Master Israel Velez Jr. was raised in Newark NJ. He was captain of the wrestling team for Vailsburg High School in Newark New Jersey. He grew a reputation for his street fighting ability. He studied Goju Ryu Karate, Kempo and Jujitsu. He helped coach wrestling and football in Union NJ. His son would grow up to be a breaking & Self Defense World Champion. His son was also inducted into the United States Martial Arts Hall of Fame. He will forever be remembered as the Master Instructor to all those around the world that have learned his son's Velez Martial Arts System. Master Israel Velez was on the Hit TV Show @Midnight with host Chris Hardwick The Category was Called Dangerous Men of Youtube. Master Israel Velez Video How to teach nunchucks was featured. Master Israel Velez Will Be inducted into the United States Martial Arts Hall Of Fame Class of 2017. ALL FEDERATIONS RAN BY MASTER ISRAEL VELEZ ARE OWNED BY CEO LAWRENCE PRATHER. MASTER VELEZ INC/ ISRAEL VELEZ EARN NO INCOME ON ANY SALES FOR HIS PRODUCTS IN CALENDER YEAR (2015). 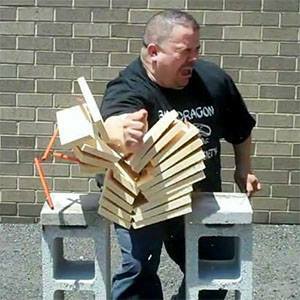 MASTER ISRAEL VELEZ RAISES MONEY FOR CHAIRTY WITH ALL HIS MARTIAL ARTS TOURNAMENTS.